Ken Bascom, a beloved Biola administrator who played a crucial role in planning and developing the university’s building projects over the past four decades, passed away unexpectedly on Monday at the age of 62. A graduate with deep family ties to the university, Bascom (’72) devoted much of his life to furthering Biola’s mission — not least by helping to build and beautify the university’s physical campus. In his role as senior director of facilities planning and construction, he oversaw the construction of more than 600,000 square feet of new buildings in the past dozen years alone, including the library, Hope Hall, Horton Hall, the Crowell School of Business building and the recently completed parking structure and Talbot East building. Bascom’s career at the university began in 1970, when he was hired as a 20-year-old student worker on the facilities grounds crew. Though he had originally planned to go into teaching — earning a B.A. in history from Biola in 1972 and an M.A. in history from California State University, Fullerton — he decided to stay in facilities and eventually moved into the department’s administrative offices as the first “campus coordinator.” There, he quickly became involved in planning and managing the construction of several significant projects, including the redevelopment of the creek and the completion of Metzger Hall. Other significant projects followed, including the university’s well-known Bell Tower in 1986, Thompson Hall and the Welch and Li apartments in 1991, and the library in 2001. The past decade in particular brought unparalleled growth to campus, with Bascom playing an essential role in the design, approval and construction process of several major facilities and renovation projects. “What you build says a lot about who you are,” Bascom told Biola’s Inside Story newsletter in 2010 on the occasion of his 40th anniversary. For Bascom, the desire to reflect Biola’s values in its building projects meant being a wise steward of resources, planning well to meet the needs of future generations, and incorporating artistic elements to inspire spiritual reflection. 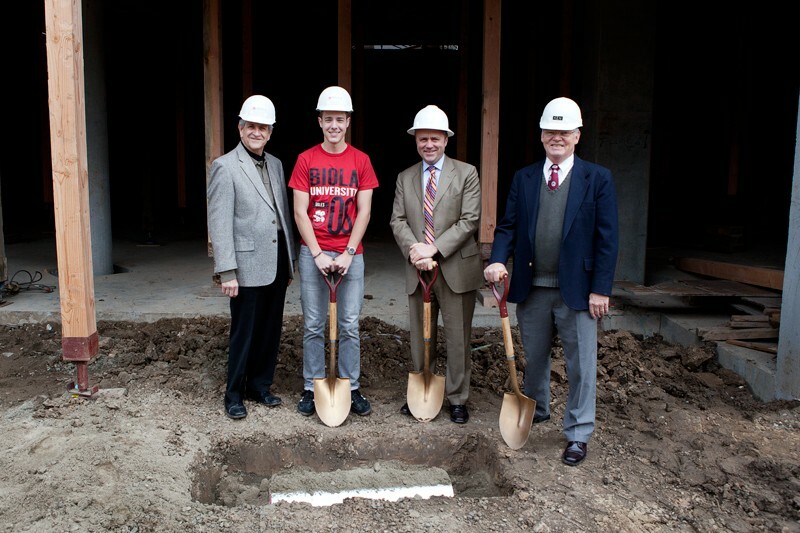 “His construction projects blended knowledge of theology, art, bricks and mortar, and the needs of students, faculty and staff — along with the wisdom to create a collection of buildings that wonderfully serve the mission of Biola now and will for decades to come,” said Greg Balsano, vice president of university services, Bascom’s longtime supervisor. Bascom’s contributions to Biola extended far beyond his official role. He was a resident historian who sought to keep the university connected to its heritage, whether by giving public presentations, writing historical articles, offering campus tours or helping to establish the library’s museum-like Heritage Room. He was a worship leader who led singing at employee meetings and took joy in introducing the community to little-known hymns. 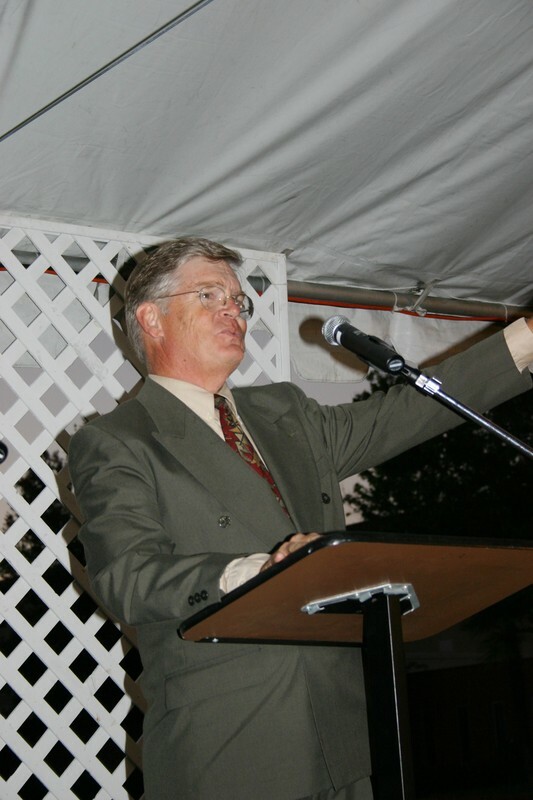 He also played an instrumental role in defining the school’s future for years to come by serving as co-chair of the search advisory committee that selected President Corey as the university’s eighth president in 2007 — making Corey the fourth Biola president under whom Bascom served. UPDATE: A memorial service to be held on Sunday, July 1 at 3 p.m. in Sutherland Auditorium. Biola is compiling a commemorative book for Ken's family. Please email your reflections or memories of Ken to elizabeth.hedrick@biola.edu. Watch a video below of Ken Bascom giving a tour of the most recent project on which he worked — Talbot East building. I worked with Ken in the 80s and 90s, and was part of his long-time Dodger season ticket "co-op". Ken was a true "renaissance man"; Godly, gifted, and a true servant/giver. He will be missed. And when it's appropriate, I'll enjoy imagining Ken lending his talents to the completion of the eternal Jerusalem that will one day descend from the heavens--and then imagine him correcting me for my brash departure from Scripture! I first met Ken Bascom back in the '70's at Brea-Olinda Friends Church where we were in the Choir together. He was also an Elder back then. I actually knew Greer, his wife of so many years, much better as we did many things together. Abe and I join in your sadness of the loss of Ken but know he is walking beside His Lord and Savior Jesus Christ. Our deepest sympathy to Greer and her family during this time of deep loss. A man of his word. Gracious and loving. True to his calling. Revered. I am so grateful for his "Mark on Biola, physically and spiritually" and in my life as a colleague. My deepest condolences. I have worked with Ken on various projects over the years. His knowledge and history of Biola have been so helpful and fascinating. He has left a huge hole at Biola that will be difficult to fill. He will be missed. It’s difficult to express the deep sorrow that I feel after hearing of Ken’s passing. He was a person that I respected tremendously and who I considered a mentor. In his profession, Ken would challenge you by creating a collaborative environment that encouraged excellence. You just always felt the need to do your very best for him. If you were ever blessed to work with Ken, you found the experience professional and personal. The personal aspect that he shared was his love of faith and family and that combination set him apart from all others. He was a remarkable man that truly inspired me. I will miss him. Ken was a friend to everyone on campus. He respected all. He took the time to listen to all. He sought opinions and ideas from all. He loved the arts and he loved creation as evidenced by the sensitivity in the designs that "his" buildings had toward each. He loved his Lord, his family, and Biola with dedication and passion seldom seen today. I will miss him. My memory-pictures of Ken are his early-morning walks around campus, wearing that big hat and praying for Biola -- or cycling onto campus in full biking gear. I also appreciated Ken's extensive knowledge and deep appreciation for classical music . . . he loved to share about the latest concert he and Greer had enjoyed. What a dear man -- and how dearly he will be missed! I met Ken in the late 90s and worked with him to design signage systems and wayfinding for the university. 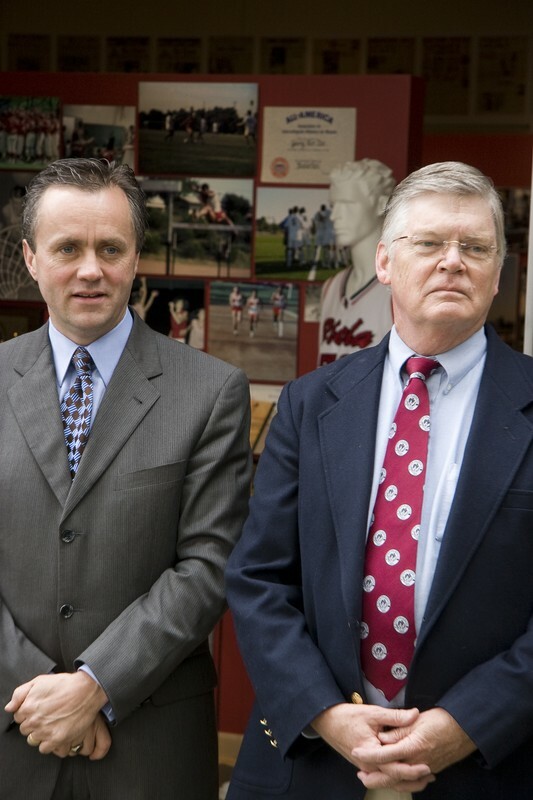 I always enjoyed working with Ken. He was a wise and gracious leader, a great man of God. I am so sorry to hear of his passing, and I know he will be greatly missed. I was deeply saddened to hear the news of Ken's sudden passing. He was a dear colleague and friend during my years at Biola. I lost count of the number of times that he would get his master keys and say, "let's take a walk; I have an idea of how we can solve that space problem." 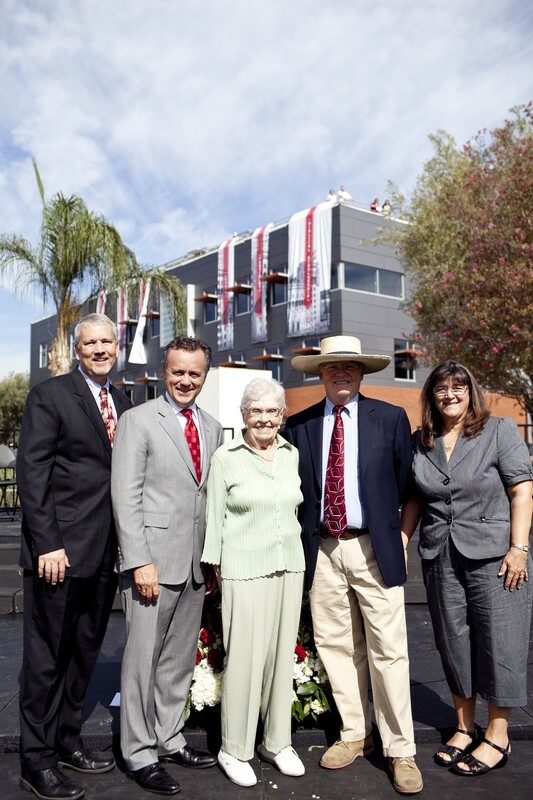 Whether new construction or "redeeming" spaces no one else saw as usable, Ken was the master of campus planning with a heart for Biola's mission and great care for those who occupied Biola's spaces. I was a dear brother, colleague, and friend - whose life has had great impact for the Kingdom. I had the honor and privilege to work with Ken Bascom as a vendor for the Crowell School of Business and most recently for the Talbot School of Theology. I have never worked with a more diligent, caring person. His character and moral compass never moved from the right direction. On a couple of occasions we were able to socialize and my wife and I were able to get to know Greer. Ken and I both had Dodger Blue blood in our bodies. My heart goes out to Ken's family. I bet he is already working with his Lord making plans to beautify His campus with new buildings and projects... I will profoundly miss him. I went to the East Talbot building Monday to find a quiet place to mourn for my brother, Ken. I felt the need to sit on the floor with the words of scripture blazing through the window onto my body. What comfort was there. Later I prayed in Talbot's Chapel, another amazing space which carries you away toward God by disorienting you to time and space. I'll miss Ken's ability to make those moments happen. Here is the challenge I give you, reader, will you rise up to fill this void? Are you using your gifts to further the Kingdom with such passion and depth? May God give us comfort, and may this shock give one pause. I am saddened to hear of Ken's passing. Even though our contacts were brief, I remember him in the same circle of memories as my favorite profs from Biola. He took a genuine interest in people. Somehow he could balance getting things done with really seeing the people with whom he talked. He was a real living Christian. My first meeting with Ken was in the early 70’s. I came out to the courts one day to find your him trimming a pomegranate tree. He shared with me that it was his responsibility to wash the courts and the pomegranates seeds were hard to get off the courts. He explained that by trimming back that tree, he could keep them off the court and make washing the court more efficient. His foresight in planning made it no surprise when he was named University facility Planner. Ken has been such a blessing and encouragement to me as I dream of the day when we see the completion of the tennis complex. I hope he knew how much he was appreciated. I worked at Biola in the early 90's. Our offices were close so we crossed paths often. He always had a smile and kind word for me. He was easy to like! I know that his leadership and wisdom will be missed at Biola. In the 90's Ken and I worked together on numerous projects. We shared the goal of wanting to restore the campus to first class condition. By the grace of God we were able get the restoration process started and it continues to this day. Ken was a partner and friend. He will be missed by all of us who knew him. As part of our 2011 Christmas Eve together, Ken gave us a tour of the new Talbot Buidling and the Chapel. He was so excited to take the family through the new construction as he shared with great enthusiasm the spirit of worship in which the construction project had been bathed and the desire behind each detail, designed to bring God glory. This new construction was clearly designed and built within a prayerful community that not only knows the Lord but desired to move His heart and bless Him with the gifts and talents God had so abundantly bestowed. We remember Ken's passion in describing the active, dynamic Word of the Lord that moves and changes with the sun across the windows. It took our breathe away as Ken thoughtfully descirbed the creative process and the minute meaningful details that were so thoughtfully designed and assembled within the project. Ken also loved the scared and simple sense within the Chapel space. It is a room that one feels,' held within God.'.. Simple, yet depicts an ancient space, capturing the move of the Holy Spirit. We all beheld the time in the Chapel in utter awe and reverence. Before we left........as a family tradition, we sang, " The Doxology", as a thank you to the living, loving LORD. We were grateful for that time together on the eve of Christmas........and we are grateful for KEN, his life work and legacy of love unto the Lord as evidenced at Biola. As we entrust Ken to JESUS, we hear the Lord say, "WELL DONE, GOOD and Faithful Servant". We love you Ken.........We thank God for you, the love you expressed toward Greer and your family, and the kingdom family of Biola. The last time I was with Ken, he gave me a tour of the Talbot East building and it was enjoyable to experience the pride that he had in every aspect of the new facility. Ken was a perfectionist in carrying out the mission of each project that he touched. I was privileged to work with him on the planning of the Library Building and visiting a number of libraries as well as in the selection of the architect for the building. Ken was so dedicated. He loved God and it was evident that he wanted each aspect of a project to be functional, cost effective and reflect the Glory of God on the Biola Campus. We will miss Ken's smile and his dedication to the university. All of us that knew him are better for working with him. Enjoy your graduation! My first job after graduation from Biola in 1990 was in the Housing Dept. working with the completion of the apartments / dorm on the bluff (no called Li Apartments). I worked closely with Ken as he was overseeing the construction project. He and Greer took a kind interest in my wife and I (at the time we had only been married for a few months) - having us over for dinner and taking us to a baseball game. Just a few days ago we were remembering the crazy license plate game he played. But the thing I most indebted to Ken for is the work ethic and customer service mindset that he both taught and, more importantly, modeled for me. He is a superb example of Colossians 3:23: “Whatever you do, work at it with all your heart as working for the Lord and not for men”. I'm convinced the skills I learned from Ken Bascom are one of the main reasons for my success in business some 22 years later. 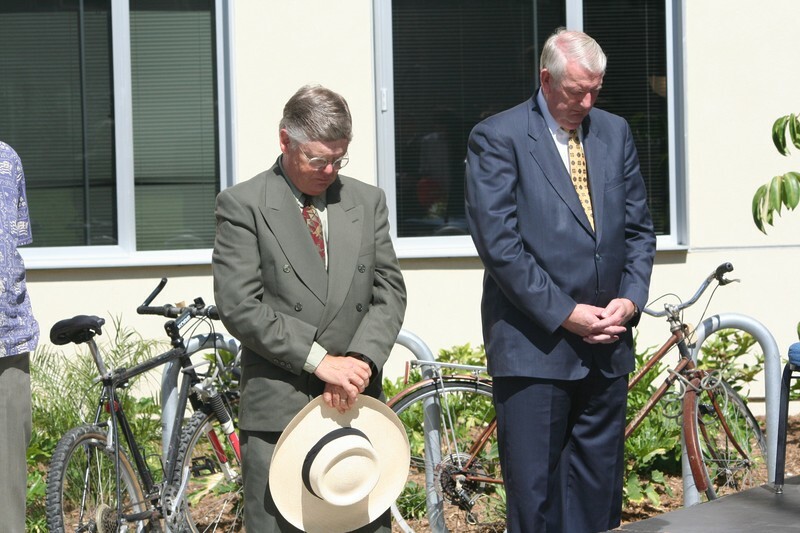 He was truly a servant to the Lord first, his family, his church, and to the Biola campus. I went to Biola at the same time as Ken. He always fully lived life with purpose and passion. He was a larger than life guy, always smiling and always friendly. Over the past several years I always enjoyed it when I could visit with him at Biola. Ken came across as a "real" guy, there seemed nothing fake about him. He was excited about life, his family, his work and God. His imprint on Biola and many lives will continue for years. We were all made richer by knowing Ken. I left Biola in the summer of 1993, after being a fellow student with Ken, then working with him at Biola for 13 years. Since then, my yearly visits to campus amazed me with the significant improvements that had been made almost every year – all under the oversight of Ken Bascom. He was a dear friend with whom I shared some great adventures! What a beautiful campus God has provided, and what an effective steward He appointed to oversee its development! I entered the college three months after Ken graduated yet it would be 25 years before our paths would cross. In recent years I've developed an interest in the school's history (including the Hope Street location, as I grew up six blocks from it) and Ken was an incredible depository of information, whether it was the persons depicted in a black and white photo or a historical item of architecture. (In his last e-mail to me in February, he pointed out that the negative in question was backward - and he was right). Even more compelling was on the occasions I would see him at a campus event I would almost always thank him "again" for his helpful information. Without fail, he would assume a spirit of humility and downplay his contribution. But I knew the truth. 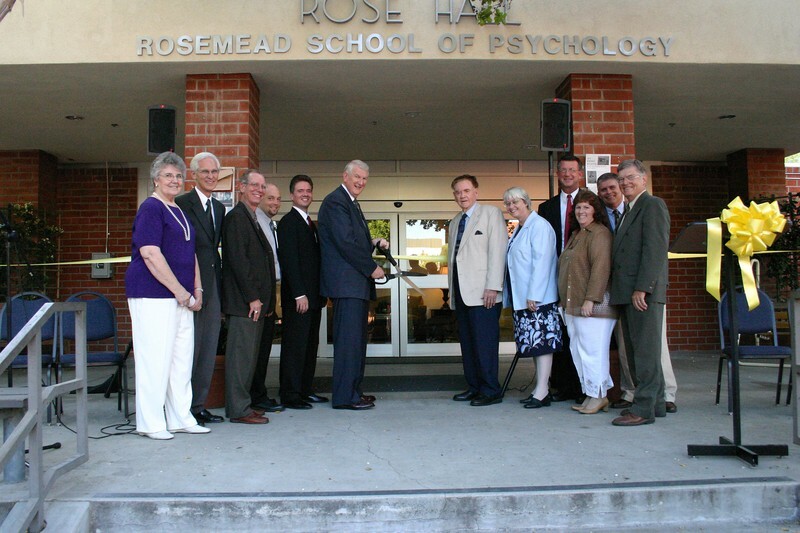 Ken Bascom was a decent, intelligent and hardworking advocate for excellence at Biola. As a member of an architectural team that worked on various projects at Biola, I realized that we had a client we could absolutely trust and who had that same trust in us. In addition, Ken would occasionally take us aside and ask us how our spiritual journeys were progressing - not typical in our world. Looking back, I am grateful for the experience at Biola and especially for knowing Ken Bascomb. As an architect, I had the privilege of working with Ken over the past couple years finishing Talbot East, and sketching and conceptualizing a handful of new projects for the campus. Ken was a unique client and friend. He was a great example of faithful dedication, wisdom and humility. I could always expect a broad, rich dialog with him, spanning matters of faith, architectural design, urbanism, history and engineering. Always, I would hear about his family... both his biological family and his spiritual family: Biola. My prayers go out for both. He’ll be dearly missed by all of us. Although I only worked with Ken for a short period of time, I was always amazed at his amazing attention to detail. More importantly I admired his love for the Lord. Ken- well done good and faithful servant! I knew Ken in the late 60's at Biola as a student. He was a man of integrity and dilligence. He was very excited to date and eventually marry Greer. Ken contributed so much to Biola, and honored Christ throughout. He was a fine man. God bless you Greer, and comfort you, through this tough time. I just want to thank everyone for your kind and heartfelt comments. It has been over three months since Ken went to be with our Father, and I am still finding it difficult to believe he is not here. I just take one day at a time. I find a lot of comfort and joy in focusing on where he is, and also in pondering on th,e sweet years that God gave us together.